mishack is positioned for those who desire the touch of an architect but don’t wish to go through the expense, complexity and cost unknowns commonly associated with a bespoke design process. It’s simply a new way to design using a modular system of preconfigured zones and pre-defined elements delivered via an uncomplicated construction system that utilises a hybrid of prefabricated and site built elements. Cost effective design advice and due diligence to help you get started. Get started with your shack map. Welcome to the ‘Shack Map’ a simplified diagrammatic method of producing a floor plan layout quickly and very cost effectively, it is the initiation for each project and your design process accelerator. A Shack Map is a tool for quickly and cost effectively generating a design so that it can be placed on a site plan of your site to give you a good sense of the scale of your vision and quickly test the capabilities of the site in relation to important budget and design considerations. The zones in a Shack Map also directly relate to construction methods and selections used by mishack referenced against the costs of completed shacks allowing us to provide authentic market reference build costs to assist you with budget planning. Design is your first most important consideration. You cannot get a sense of the ‘reality’ of build costs or potential of your site without an initial design concept. Without one you’re simply flying blind and putting your financial interests at risk and are simply not making a considered and calculated investment decision. It is important to realise that each site has its own unique conditions and these can vary significantly from site to site. When thinking of a budget most people are thinking only of the building itself which is only a part of the overall project cost and in most cases simply miss the realities of the potential other costs involved which can severely affect budget expectations. In the case of fundamentals such as earthworks, services connections and bushfire regulations for example, varying site conditions can be significant budgetary drivers. This is where Map IT comes in, it will conduct critically important early stage initial due diligence on the site via a shack map design from the brief you supply. 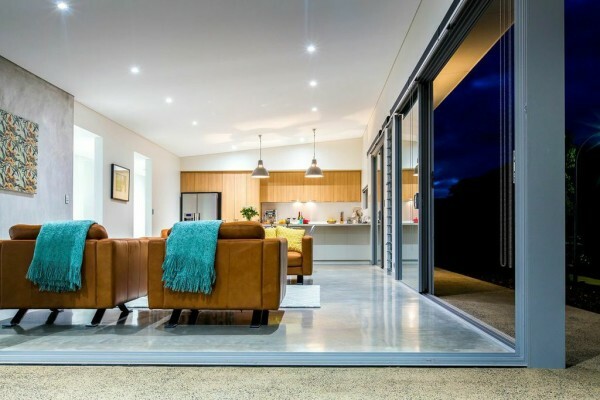 From this it will develop the initial budget range you will need to consider for your mi shack – before you commit to buy land or commence designing your very own mi shack on land you already have. 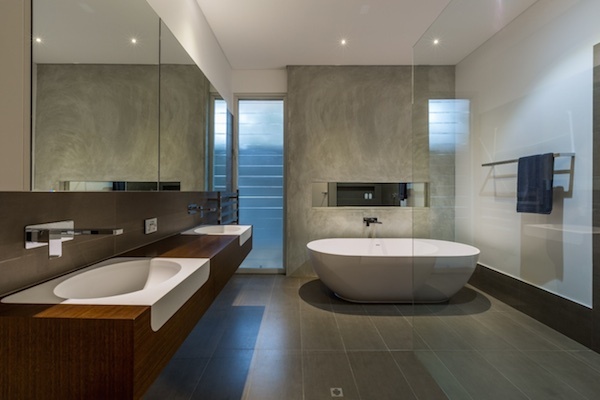 Unless you are a design professional, it goes without saying that you will of course most likely miss or be completely unaware of critical site conditions and regulations that you need to look out for. Let ‘Map iT’ reveal to you the important issues before you have gone too far. Each zone comes with a range of different interior layouts which can be flipped, rotated and adjusted to lock into each shack map combination. We’ve done all the hard work by designing a series of optimum layouts for each zone that simply work – in form, function and flow. All you need to do is make a pick to make it yours. Time to bevvy up, chill out and burn a prawn on the barbie. Luxuriate, pamper, revitalise, rejuvenate and refresh. Spin your jocks and soak your socks. Get ‘nood’ and rinse off the beach. Seamless open plan living from indoors to outdoors to get you feeling one with the ‘Shackiverse’. Drift in and glide from your ride. This is your ‘anything I want it to be’ zone, we create the space to let your imagination run wild. Rugrats, outllaws and teenage space invaders. Rack ‘da’ board and stack ‘da’ stuff. dry your bits and stash ya trash. As the zones simply slide, glide, expand and adapt under each roof system, either style works. By analysing your block with sun studies we optimise the solar passive aspects of your desired layout and attenuate the eaves and glazing according to your location and orientation. This is where we create a funky 3D model of your mishack so you can walk around the design in real time to feel the spaces and view the suns penetration. A mix of Mid-century Modern 'Shazam!' 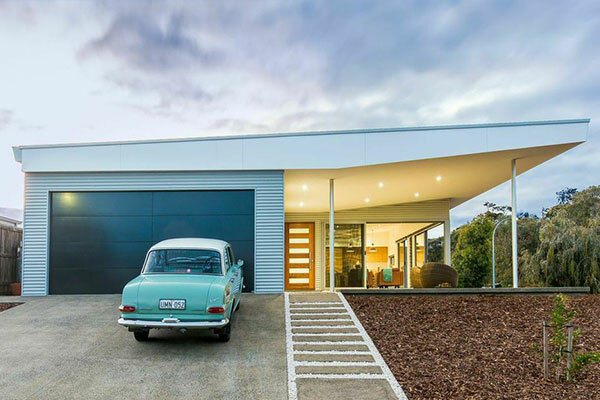 with a dash of iconic Australian rural shed the 'WAVE SHACK' casts a strong presence with a clearly defined 'wave looking' wedge shape that grabs the eye. 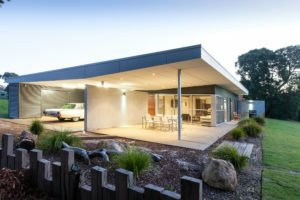 The 'FLAT SHACK' draws strongly from a heritage of minimalist modern design started by the early modernist architects of the 1920's that carries through to today as 'contemporary minimalism'. If you have ever spent time with your spouse trying to agree on taps, tiles, carpet and colour schemes for your new home or renovation and felt like it was harder than trying to buy your mother-in-law a xmas present, then you’ll be delighted to hear that ‘we’ve got this!’. mishack has done all the suffering for you by pre-selecting items that ensure an effective balance of cost, style, touch, availability, maintenance, practicality, warranty and sustainability. All you will need to do is choose from our range to create your own vibe.